Paris, Editions Atlas, 1985. 32 x 23,8 cm, hardcover, cloth, dust jacket, slipcase box. 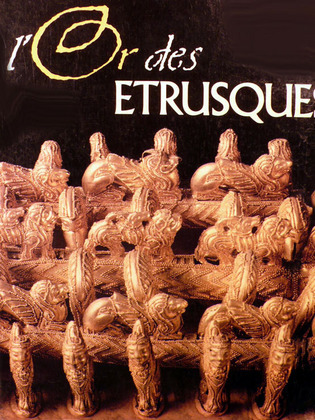 Fine book on Etruscan gold objects (mostly jewelry).